Complete Envelope, signed ‘Charles Dickens’ lower left, addressed by him to “- Elliston Esquire, Leamington”. 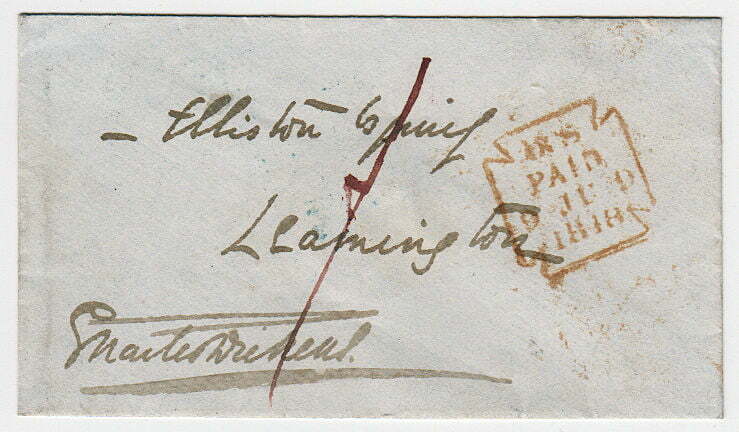 About 3 x 5 inches, in good clean condition, red wax seal, postal markings, Leamington backstamp. 9 June 1848. Entirely in the hand of Charles Dickens (1812- 1870), author. The addressee is Henry Twiselton Elliston (1801-1864), composer, organist and inventor, son of the theatre manager Robert William Elliston.